This weekend, we ventured down to Monmouth County with the goal of visiting friends in Middletown and venturing to the beach---weather allowing. In fact, the weather was on the cool side---OK for the heated pool, but not so much for the gusty, cold beach, where the surf was already rough early in the day. So amidst all of the fun, we decided to amp up the happiness with coffee from Rook Coffee , a Monmouth County-based coffee shop founded in 2010, with a dedicated roastery that promises "great coffee and over-the-top service." So I tried it, and guess what. They delivered. I had a hot coffee that was soothing and elevating at the same time, no bitter aftertaste and just hot enough. My friends also enjoyed their coffees. Here we are celebrating our good coffee-drinking experience. What is it about Rooks? I was curious about the name Rook. The logo reflects the simple elegance of the rook, a crow with bare grayish white skin around the base of its bill (only in adults). Rooks like to nest high up in trees and eat everything from earth worms, to small mammals, to fruit, and even other birds. But most important, I think, is the fact that when you start to see rooks flying around towards the end of winter, it's a sure sign that spring is on the way. But why focus on spring when there's still a bit of summer left. In fact, my goal is to venture back when the weather is warmer and drink Rook Coffee on the beach. Over the last 7 years, Rook has grown a great deal, under the watchful eyes of the co-founders, Holly Migliaccio and Shawn Kinglsey, who left their corporate jobs to learn everything they could about coffee so that Rook could become a reality. Well--the Rook is real and the coffee is REALLY good. There are 10 locations, which are listed here. 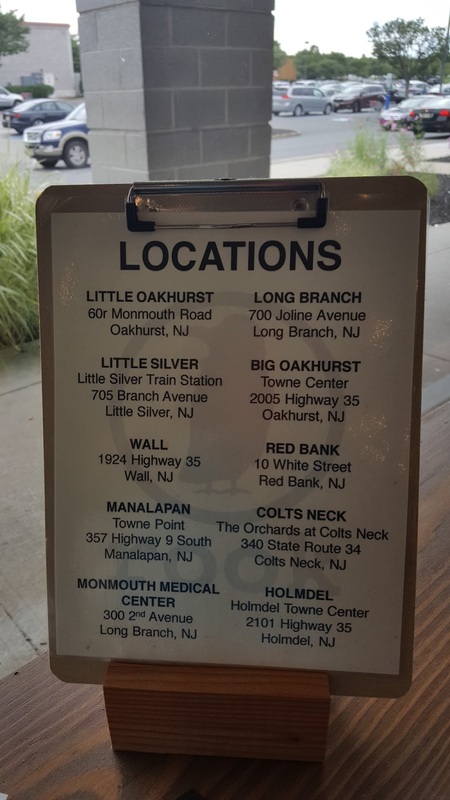 When you're heading to the beach (or if you live in lovely Monmouth county) why not venture in for some 'great coffee and over-the-top service.' You won't be disappointed. Thanks to you for sharing your visiting experience about the rooks coffee. Would love to visit it. I've heard several times about it but today I came to know about it in depth.